Operational Accounting Systems Limited (o-a-sys) specialise in helping small and medium sized businesses build software to improve the efficiency of their processes. With a collective 82 years’ experience and an award winning software portfolio we are able to deliver software solutions to a diverse range of industries. We are also accredited developers, allowing our in-house development team to tailor the software to your more detailed requirements. 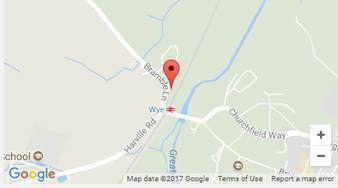 o-a-sys is located in the beautiful village of Wye. A central location with easy access to main routes and the high speed train on our doorstep, allowing us to provide efficient and effective consultancy and training services. When it comes to supporting your system our highly accredited support team provide high standards by phone or email and can connect to your system remotely. Join the o-a-sys team at our office for a variety of training courses. We can securely import your company data onto our pc’s so that the training is relevant to your company processes and familiar when you get back to the office. Throughout the year the o-a-sys team organises free customer events including our payroll end of year seminar, beginners XRL courses and our Christmas Party. With a highly accredited team, exciting events, excellent transportation links and tranquil village views why wouldn’t you choose o-a-sys? For more information about our software solutions or the o-a-sys team please call us on 01233 812050.